When you know your business backward and forwards, you may think that you can easily write the content for your website. However, writing website content is a special skill. You want to write your content in a way that makes it easy-to-read and accessible by most of your users, but that simultaneously appears professional and competent. You want to make sure that your grammar, spelling, and usage are perfect, while still keeping your web content easy-to-understand and engaging. If it sounds like writing web content can be challenging, that is because it can be. 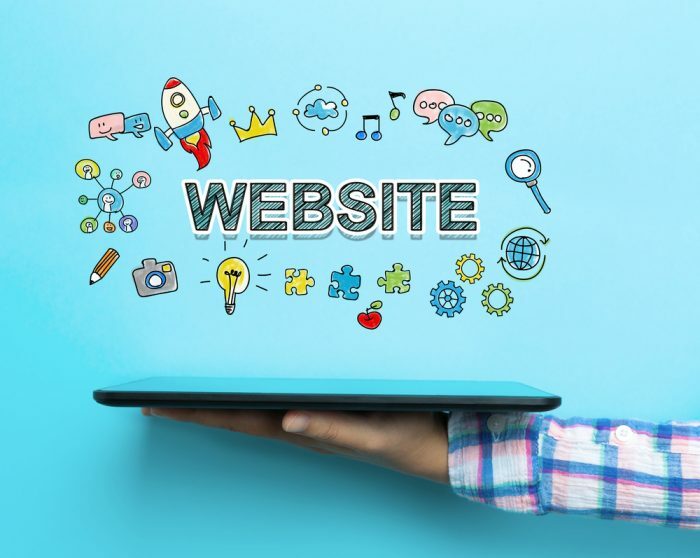 Fortunately, at Writers Needed, we can provide your business with a customized website content writing service to keep your customers engaged at budget-friendly prices. Many people think that your landing page is your home page. While it can be, landing pages are the pages where customers land after clicking on a link or advertisement for your page. Landing pages might be home pages, but they could also be about pages, services pages, or pages specifically written as landing pages for a particular ad campaign. A landing page should include a call to action, have the SEO keywords that you are targeting in your overall campaign on the page in natural language, and be relatively short. A great landing page can really increase your conversion rates, so you want it to inspire visitors to take action without coming across as overly pushy. An about page describes your company. You can take a number of different approaches on your about page. What about your company is likely to make your potential customers want to purchase from you? Do you have an interesting origin story? Are you an industry-leader in some way? Do you use special products/ buy local/ employ green practices? Have you been in business in the area for a long time? Any of those details can help contribute to a compelling about page that encourages visitors to become customers. While your landing page might contain blurbs describing your goods and services, you may want to dedicate a page to each of the goods and services that you offer. These pages would go into detail about specific products or services, including pricing and scheduling information. They are also going to include a call to action, after telling the visitor why they need to buy the product. Your homepage is your internet store front. It is what entices visitors into shop. The home page is not going to be as text-heavy as some of your other web pages because you do not want to overwhelm people who are just finding you. However, it should provide critical information, such as what kind of business you are, contact information, any specials or sales you are running, and links to pages with more information. This means your home page is going to look a little different from the home page for a large, well-established store. Their home pages often have little-to-no text. You can do that once your business is already well-known, but until you build up that reputation, you want to make sure that customers have the information they need to decide whether to stay on your site or go to another site. Are you running a campaign to promote a particular good, service, or sale event? If so, then you may want to create a temporary landing page for that event. This type of page is going to focus more on the call to action aspect of the sale, to give customers the reason why the deal is an especially good one and explain why they should make the purchase or schedule the service, now. One of the ways to keep your website fresh and relevant while engaging customers with material that is not directly sales-oriented is to include a blog. Blog posts are going to be related to your business, but might not push any sales. In fact, they might actually contain information aimed at saving your customers money. For example, if you have an air conditioning repair company, having a blog that details the steps for spring maintenance before turning on your air conditioner for the season is a great way to increase customer confidence in your business. After all, you are providing information on DIY maintenance, which can save them money. However, you can also make sure that customers see how many steps are involved in a thorough air conditioner inspection, which makes the bargain price you offer for your inspection seem like an even better value. That is how blog posts sell without selling. Of course, you want to make sure that your blog posts are SEO friendly. What terms are your customers already searching? Include those in your blogs and you drive traffic to your website and create a perfect tie-in with any social media marketing campaigns that you are already running. One of the challenges that many of our customers who have blogs on their websites encounter is that maintaining a blog takes constant work. While writing a timely blog post is not difficult when that is your job, when it is one of the many jobs you are trying to tackle for your business, it is something that can easily fall by the wayside. Have you ever been to a website and clicked on its blog, only to see that the last entry was weeks or even months ago? When you do, how does that make you feel about the website? If you are like most consumers, it makes you lose confidence. The solution? At Writer’s Needed, we can provide you with one-time or ongoing blog writing services. You can provide a list of topics you want covered in your blogs or ask writers who have experience in your industry for their suggestions about blog posts. Create a timeline for when you want updates available for you or purchase a series of blogs up-front and update to capitalize on whatever your current customers are demanding. All of our blog posts are going to be SEO blog posts or articles, because there is no reason to ever put anything on your website that is not SEO content. They will also be written in the voice you choose for your company, to establish branding across your different types of advertising. The best way to find out what Writers Needed can do for you and your business is to contact us today. We can consult with you, find out what type of content you want, discuss your budget with you, and offer you the best solutions to maximize your advertising dollars. We can customize a plan to fit your budget and provide your business with the website content writing service it needs.